Being a new mom can be tough on the soul, and these comforting scriptures for new moms are perfect for boosting your spirits. You’re tired and just want to get things back to normal. In fact, you may not even have time to pray anymore. You’re busy taking care of that little one 24/7. 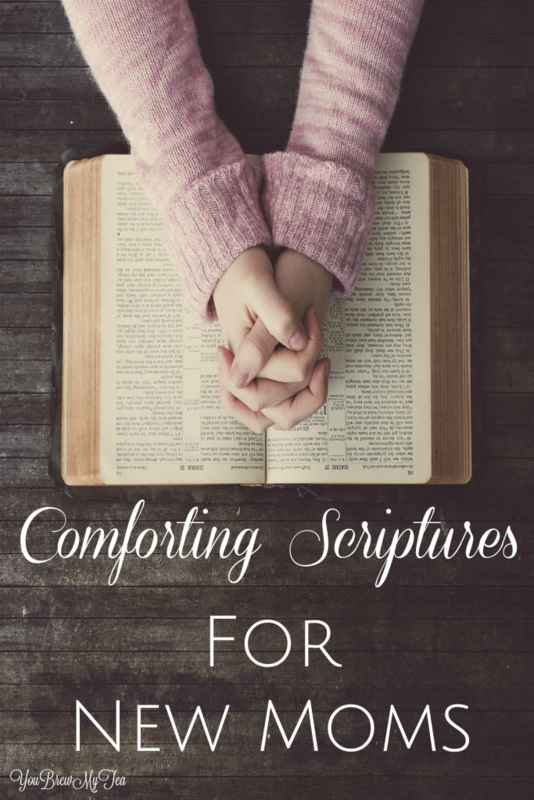 Here are some comforting scriptures for new moms that will encourage and help you connect with God, even when you feel disconnected. 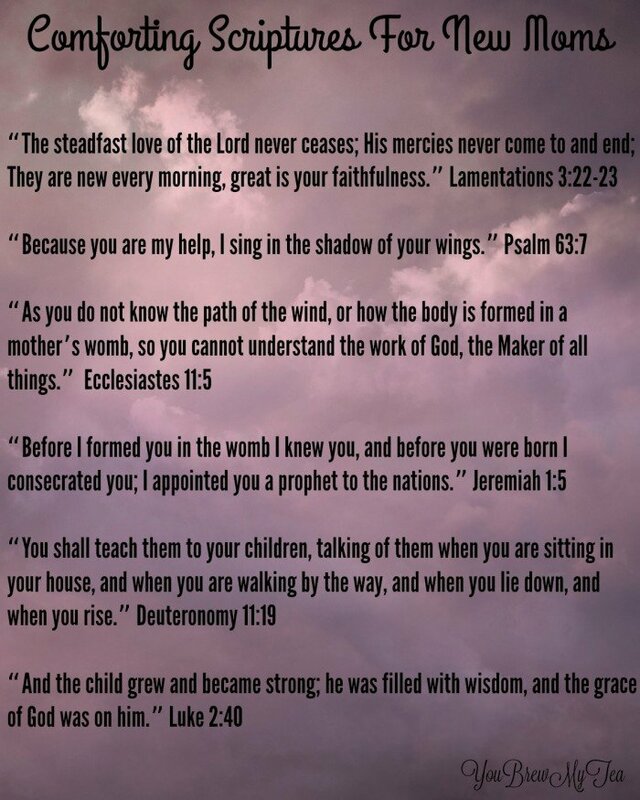 “The steadfast love of the Lord never ceases; His mercies never come to and end; They are new every morning, great is your faithfulness.” Lamentations 3:22-23—How true is this? His mercies are new every morning. A bad night can turn into a joyful morning! “Because you are my help, I sing in the shadow of your wings.” Psalm 63:7– God is there to help us through every storm as a mother, big and small! “As you do not know the path of the wind, or how the body is formed in a mother’s womb, so you cannot understand the work of God, the Maker of all things.” Ecclesiastes 11:5—How true is this? God is mysterious but o’ so great! “Before I formed you in the womb I knew you, and before you were born I consecrated you; I appointed you a prophet to the nations.” Jeremiah 1:5—In you get overwhelmed, think of God’s hand in your life and as a new mother. “You shall teach them to your children, talking of them when you are sitting in your house, and when you are walking by the way, and when you lie down, and when you rise.” Deuteronomy 11:19—God has given us such wisdom to teach our children! When you think you’re doing this alone, remember how God has had His hand on it from the start. “And the child grew and became strong; he was filled with wisdom, and the grace of God was on him.” Luke 2:40—What a verse to remember as new mom raising her children up in the Lord! When you’re having a bad day as a new mom, remember that God loves you and your new baby. He’s given you these verses to remind you! Print off this simple page to remind you every day of these scriptures! Add to a simple frame, or tape to your bathroom mirror! Check out some of our other tips for new moms or busy moms!